Here at Logical Harmony, there are a lot of questions that get asked time and time again. For the ease of readers, these have been compiled into an FAQ section. If you still can’t find what you are looking for, please do not hesitate to contact us! Looking for the Brand FAQ & Contact page? Click here. Why are some brands listed on your brands to avoid list but other sites say they are cruelty-free? We personally reach out to every company listed as a brand you can trust, grey area brand or brand to avoid with specific questions, requirements, and information needed from them. In order to list them as a trusted brand, I make sure that the company or a representative of the company can completely answer all of my specific and unique questions in a clear manner. If I am unable to get a clear response, the brand is listed as a grey area brand. I cannot speak for the process of any other blog, website or organization. How does Logical Harmony define “cruelty-free”? There is currently no legal definition of the term “cruelty-free”, so it can mean different things to different people. We use “cruelty-free” to say that a brand is not testing on animals, does not use any ingredients that have been tested on animals, and is not testing on animals when required by law. A brand can be cruelty-free and still use animal ingredients. 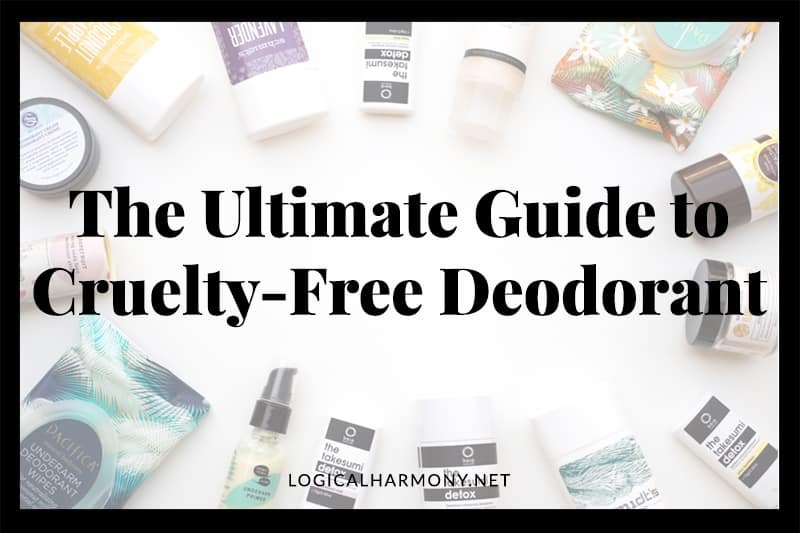 All brands mentioned on Logical Harmony are cruelty-free. How does Logical Harmony define “vegan”? Vegan means that there are no animal ingredients or animal bi-products in the products. All products featured on Logical Harmony are vegan. If a brand is listed by PETA, Leaping Bunny or Cruelty-Free International as cruelty-free, will you automatically add it to the cruelty-free list on Logical Harmony? No. We ask that all brands listed submit specific information before they are added to the list on Logical Harmony. Other organizations are comfortable listing brands as cruelty-free that we are not. A brand I love isn’t included! How can I suggest them? If you are curious about the cruelty-free status of a brand, please check the Cruelty-Free Brand List first. If the brand is not listed, please use the Brand List Submission form to suggest them. What specific questions do you ask brands? In order to recognize a brand as cruelty-free, we have a very specific process. The details of these questions and the process are very lengthy and are unique to Logical Harmony. A brand has “not tested on animals” printed on their packaging or states “we are cruelty-free” on their FAQ. Why are they on the Grey Area or Brands to Avoid list? These specific terms are not only unregulated but also do not give any consumer insight into the larger picture of a brands animal testing stance. Brands who state that they are cruelty-free or have “not tested on animals” on their packaging but are on the Grey Area or Brands to Avoid list either could not give clear answers or gave answers to indicate that animal testing is occurring on their products in some way. I represent a brand! How can we get added to the cruelty-free brand list? Please submit the contact form and get in touch! We will then follow up with our unique set of questions for your brand to answer. Do you have any blog posts that explain more about animal testing as required by law in China? Do you have any blog posts that explain more about the EU ban on animal testing? Do you have any blog posts that explain more about animal testing in the United States? Definitely! Animal testing is a re-emerging topic in the United States because there are currently two proposed Acts that have been presented to the US Government. One would ban animal testing and the other would require an increase in animal testing. How often does the Cruelty-Free & Vegan Brand List get updated? This list is updated once per week. Can I use your content on my own blog, website or publication? It is okay to share one photo from a blog post with a link back to the original blog post. You can also pin images from Logical Harmony to Pinterest. Please do not post the entire content or more than 3 sentences of any blog post, article, page, recipe, or step-by-step image without written permission. No part of the Cruelty-Free & Vegan Brands List may be used without written permission. Please email me and let me know what content you are interested in sharing. All content on Logical Harmony is protected by copyright laws. Content associated with other sources is credited where possible. I want to start my own cruelty-free blog, can you give me a list of questions you ask brands? Unfortunately, I cannot. The questions that I ask brands are very specific and very unique. They can only be used by Logical Harmony. I posted a comment but do not see it on the post. Did I do something wrong? Not at all! Logical Harmony receives lots of comments each day. Most of these comments require a personal response. Because of this comment moderation is turned on. I read and reply to every comment as soon as I have the answer that you are looking for! I have been vegan since 2011. The change was gradual for me – I started cutting out animal products from my diet 16 years ago. When I decided that I wanted to go vegan, I wanted to have a vegan diet and lifestyle. Thus, Logical Harmony transitioned from a regular beauty blog into a vegan beauty blog. I first started blogging over 15 years ago. My first blogs were all personal blogs. Over time, this transitioned into a fashion blog, then a beauty blog. Logical Harmony has been running as a beauty blog since 2005 and as a cruelty-free and vegan beauty blog since 2011. Yes! As of late 2017, Logical Harmony is my full-time job!